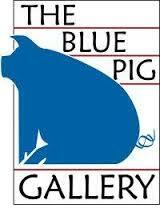 The Blue Pig Gallery in downtown Palisade, Colorado, is nestled between vineyards and orchards below Mount Garfield and near Colorado National Monument and the town of Grand Junction. The Purple Peacock in Ouray, Colorado, nicknamed the "Little Switzerland of America," near Telluride, Colorado. The Western Colorado Center for the Arts (The Art Center) is located in Grand Junction on the Western Slope of Colorado, near the Utah border and Colorado National Monument and west of Denver. Please Click Here for customizable print and cards at Gina G's sister website. Montrose Visual Arts Guild in Montrose, Colorado. Gina G is a member of this vibrant art organization promoting the local art and artists of Montrose, Ridgway, Olathe and surrounding areas. Ouray County Arts Association in Ouray, Colorado. Gina Grundemann supports this energetic organization that promotes local art and art programs for the youth.